Very common problem is sagging of the lateral eyebrow from squinting in the sun. The lateral eyebrow falls below the level of medial brow. At an early stage, with the forehead muscle still strong, a muscle toxin placed just lateral brow will suffice. With time surgery is required. The French brow lift with incisional line in the temporal forehead area, general anaesthetic procedure Day Only simple uncomplicated procedure with excellent results. Corrects lateral brow droop, as well as sagging skin in lateral eye and cheek areas. Visiting Italian plastic surgeon Prof. Botti introduced a very simple, but effective ‘direct excision’ brow lift. Elevates the whole brow to a normal position and shape. 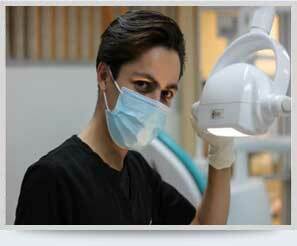 Less invasive, simple, uncomplicated under local anaesthetic or general anaesthetic. Pre Op Markings: Skin excision 8mm to elevate brows 4mm above rim. Post Op after 1 week showing incision line with brows in normal position and shape. Post Op 4 weeks – incision above eyebrow not seen. Brows and upper eyelids now normal male appearance.